Some reading this might roll their eyes. Since after all, the medical establishment says there's no treatment for mTBI. 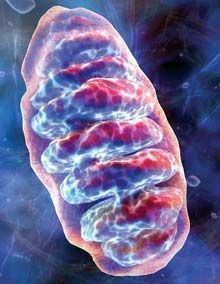 Mitochondria, so what? The brain cells are dead. That is the conventional wisdom. Right now a ton of research is going on in neuroscience and cognition, really great stuff. And we do know directly and indirectly that exercise helps survivors of brain injury. There are multiple ways that exercise helps. They already knew that exercise helps maintain muscles, partly by activating existing cell material and by generating new mitochondria as well. Now they can see that very same process at work in the brain. Exercise improves the functioning of mitochondria within existing brain cells. It also stimulates the brain to create new mitochondria. Perhaps leading to better cognition down the road. Potentially more rewiring and relearning on the road to recovery. Better outcomes. Mitochondria are the powerhouses inside cells. They regulate the functioning of individual brain cells, such as cell metabolism. Specifically, researchers believe that healthy, plentiful mitochondria in the brain helps ward off neurodegenerative diseases like Alzheimer's, Parkinson's, and ALS. Survivors of brain injury are at increased risk for these. Since the accident my left hand trembles; it makes me think of the risks ahead. This is something I can do for myself; it's not a doctor or a procedure or a pill. So, I'm just doing it.